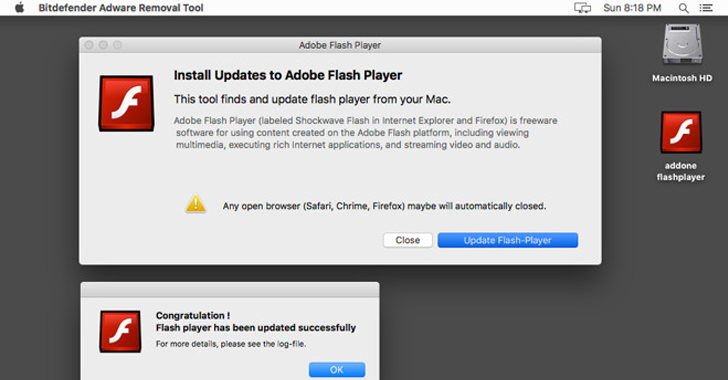 The emergence of the first macro-based Word document attack against Apple's macOS platform is the latest example to prove this. The concept of Macros dates back to 1990s. 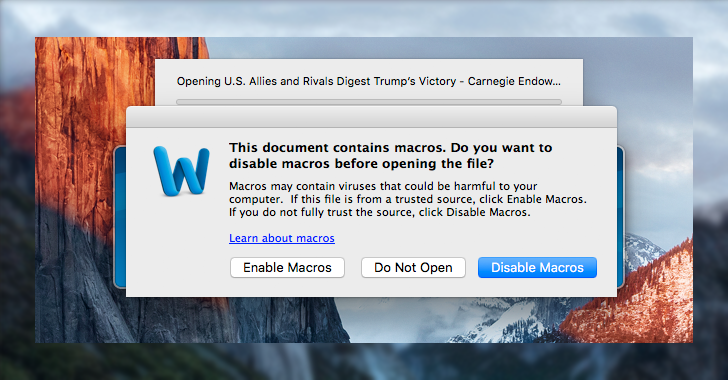 You might be familiar with the message that reads: "Warning: This document contains macros." The hack tricks victims into opening infected Word documents that subsequently run malicious macros. One such malicious Word file discovered by the researcher was titled "U.S. Allies and Rivals Digest Trump's Victory – Carnegie Endowment for International Peace.docm." "It’s kind of a low-tech solution, but on one hand it’s abusing legitimate functionality so it’s not going to crash like a memory corruption or overflow might, and it’s not going to be patched out," said Wardle.